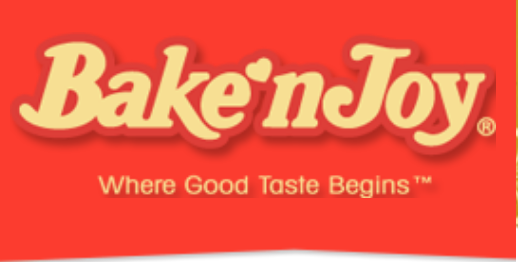 Company Overview - Bake-N-Joy Foods, Inc. In 1941 a man with a vision set out to build a business by helping busy corner bakeries. Equipped with one small blender, he began producing bread and donut mixes and selling them to local bakers, founding what is now Bake'n Joy Foods, Inc.That man was Abraham Ogan. Mr. Ogan started a New England family business that is still thriving today with the third generation in leadership. How has Bake'n Joy survived the ups and downs of business for over 70 years? Through product innovation, coupled with the desire and ability to take risks, to bring customers what they need and want. Our company operates with a deep commitment to our customers' success.From 1941 through 1980, we focused on providing quality mixes and bases for breads, donuts, muffins, Danish, and cookies to a growing number of bakery, supermarket and foodservice customers.Recognizing the trend in labor shortages in the baking industry, our innovative Research & Development team created the first ever thaw-scoop-and-bake frozen batters in 1980. Since then, the frozen category has become paramount to our future growth and has set the trend for product development.Bake'n Joy's product offering has grown to include mixes and bases, frozen batters for muffins, cakes and cookies; FreshBakes predeposited muffin batters; and PanFree predeposited batters for muffins, loaves and cupcakes. In 2002, we expanded our frozen batter line by acquiring the New York-based Country Muffin & Cake Company.As an innovative leader, Bake'n Joy has been ahead of the curve in many consumer trends by developing great-tasting niche products, such as Fat Free, Low Fat, Low Carb, Sugar Free, Fortified, 100% Whole Grain, and Clean Label.Today, we are proud to call Boston Coffee Cake our own! Since the brand's inception 25 years ago, Boston Coffee Cake products have been heralded for their high quality and strong customer following. In 2009, a state-of-the-art bakery was built at our North Andover headquarters to produce the high-quality coffee cakes, loaf cakes and dessert cakes under the Boston Coffee Cake brand. The product category continues to grow as we introduce new baked items under the Boston Coffee Cake brand.Our strong commitment to our customers' successes leads us to continue to build our in-store bakery and foodservice business with fully-baked products. Bake'n Joy is strongly positioned to better service customer needs in many different types of operations. We remain committed to providing not only top-quality products, but to providing the best service and value to our customers.With the third generation at the helm, Bake'n Joy continues to be a family-owned and privately-held company. Robert M. Ogan is President/CEO, with Jack Waldron as COO, George Fregone as VP of Marketing and Business Development, Mark Ake as VP of Sales.